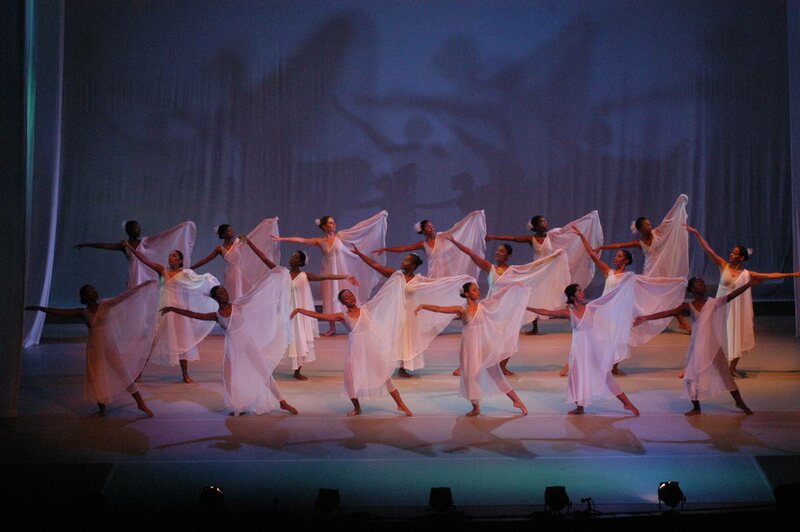 Students of Caribbean School of Dancing perform a piece choreographed by Patricia Roe at Fantasy in Dance ‘03. 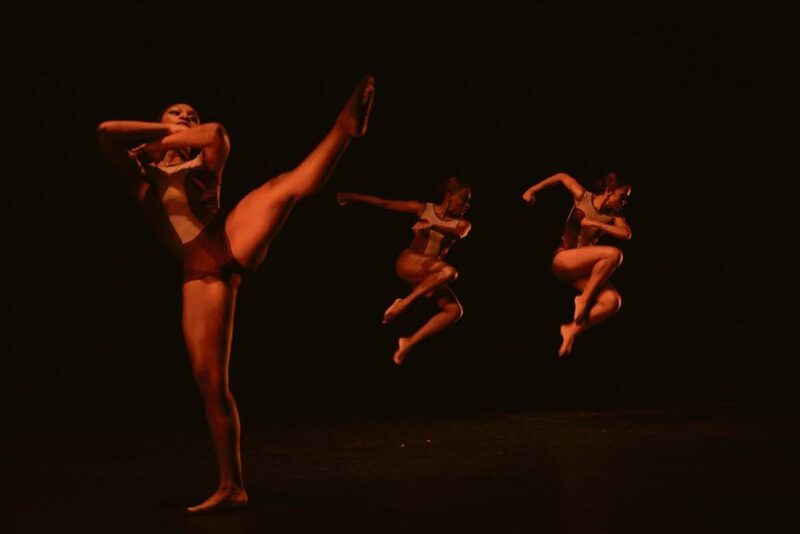 Photo courtesy Caribbean School of Dancing. Founded by Marcia Moze in January 1957, the Caribbean School of Dancing Ltd (CSD) is celebrating it’s 60th anniversary this year. As a gift to the school, its alumni association came together to put on a show with the revenue going directly to the school. Bridgette Wilson, 31, principal of CSD said before she became principal on October 2 she contacted the rest of CSD’s Alumni Association, Lisa Beharry, Shari Rhyner, Nicola Johnston, Cretia Lewis, and Katherine Carrera to find out if they were interested in putting on a show. She said many former students such as Heather Henderson-Gordon, Noble Douglas, and Sonja Dumas kept dance moving forward locally. Anna leap: Anna-Maria de Freitas performs a piece by Joanne Decle and Michelle Mose in the school’s 2015 production at Queen’s Hall. Photo courtesy Caribbean School of Dancing. The association decided to highlight some of these local contributors in the show titled Celebrating 60 Years. 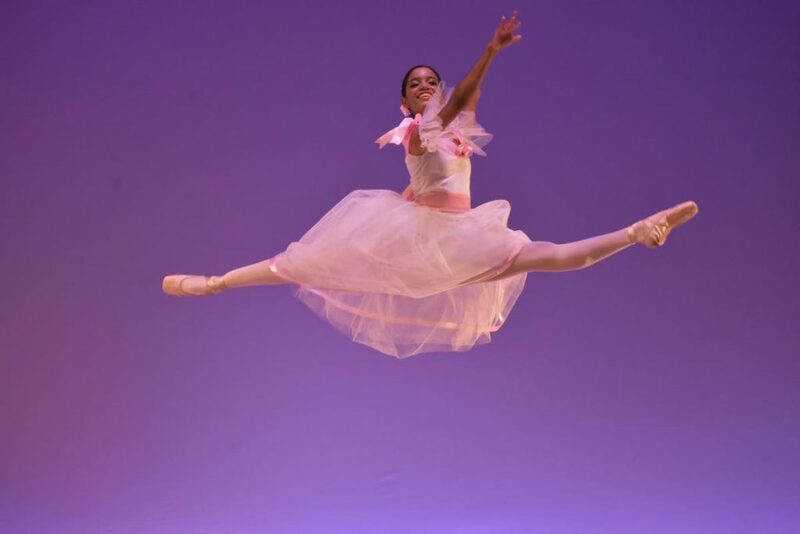 The show will include ballet, tap, and a mix of contemporary/ modern dance performed by alumni, senior members of the of the school, and Metamorphosis Dance Company. The performances will be choreographed by Cretia Lewis, LaShaun Prescott, Jillene Forde, Aviance Bain, Dumas, and Wilson. The show is scheduled for November 25 and 26 at The Little Carib Theatre, starting at 7.30 pm. On the first evening there will be a gala opening with a brief awards ceremony paying tribute to the teachers who dedicated their careers to the school, and a post-performance reception. “We just wanted to recognise them and thank all the people who have been with the school for so long. Among those to be recognised are Patricia Roe, who recently retired after 50 years at CSD; Joanne Decle, outgoing principal and the school’s first ballet teacher who had been with CSD for 45 years; and the school’s continued production of people who go on to have successful careers in dance. Wilson said the school had gone through several challenges and changes over the years, including the death of former principal, Claudia Applewhaite, and the school’s boutique owner. Wilson recalled the time a friend told her that her parents were wasting money to send her to study dance when she decided she wanted to pursue it at tertiary level. 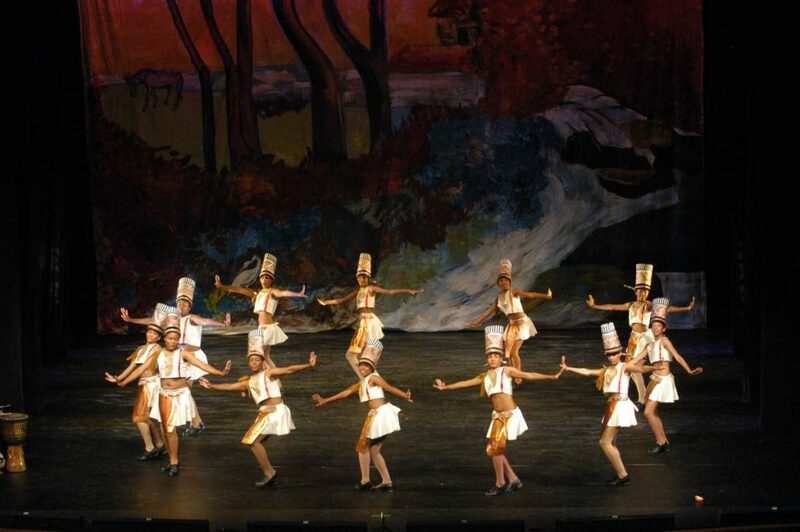 Tapping along: Students of Caribbean School of Dancing in a tap number choreographed by Gill Merry in 2006. One of these results was becoming the principal of CSD, which was a goal of hers, which at the time was much further in her future. Wilson said she started dancing with the CSD in “nursery school” and, when she got older, continued on to Metamorphosis. She left TT in 2005 to pursue a Bachelors of Fine Arts in Dance at York University in Toronto, and on her return she became involved in teaching and choreographing with Metamorphosis. In 2016, she went to London to do her Masters of Arts in Choreography at Trinity Laban Conservatoire of Music and Dance and returned to her position of rehearsals director of Metamorphosis in September. She said all the teachers at the school had always been supportive and encouraging of her career, but she did not think any of them wanted the responsibility when former principal Applewhaite passed away, so she offered her services. Referring to dance in TT, she said the local the dance community was trying different ways to reach beyond the usual audience, including outreach programmes and workshops. She said although dance had come a long way in the years she had been part of the community, she still believes it has a long way to go. She said the dance community needs to continue to work together to make a bigger impact on the country. Reply to "Caribbean School of Dancing celebrates"